Today is National Fairy Day and at Crafty Monkey, we’re more than well equipped to get involved! As many of you will know (especially those of you with little girls), our shelves are full of pretty fairies (and we even have some pottery ones). 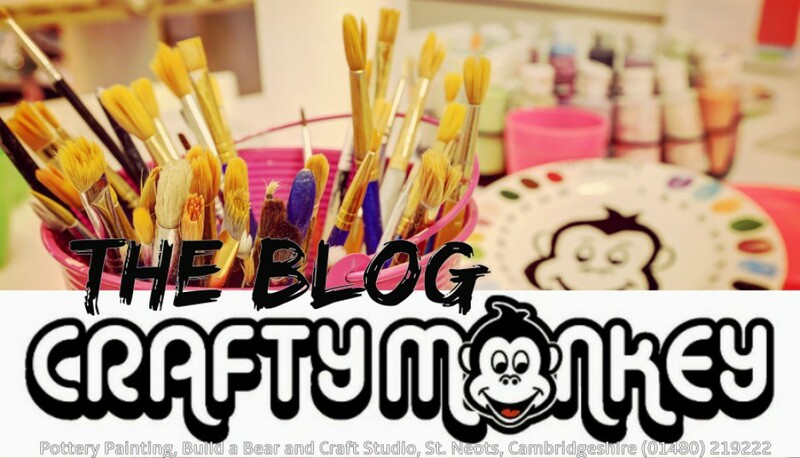 If you’re looking for a way to show your appreciation of our dainty little milk tooth collecting friends, come on down to Crafty Monkey where you can paint your own fairy from our selection. And for those of you that prefer to think outside of the box a little; there are fairy princesses and all things mermaid and doll related. There are many occasions during the year that Crafty Monkey can get very lively indeed. Christmas would be the obvious period (which starts in September here!) and of course we have back to back parties most weekends, not to mention the school holidays. But some of our liveliest times happen to be when we have groups of mums booked in who have taken advantage of our on-going ‘free studio fee’ offer for six or more mums and tots. More often that not, the babies are having a little shout and the toddlers are bouncing around enjoying the atmosphere while the mums have a good natter and a coffee. Sometimes one baby will start to cry and then the domino effect kicks in and the rest will join in and then it gets very loud! Occasionally, the mums can get a bit worried that their babies are making too much noise, but we always tell them the same thing- we’re used to it and it doesn’t bother us one bit! In fact, we can’t tell a lie and pretend that all babies are thrilled about us painting their little hands; some of them do like to put up a little fight but don’t worry we more than experienced in getting a good print while putting your little one at ease. If you’d like to book in with at least five friends to save yourself some money, then why not book in to make something for Father’s Day? It’s a great way to socialise with your friends and their children while sorting out your Father’s Day presents in one fell swoop! Call us on 01480 219222 to book yourselves in before June 10th for collection before the big day…and don’t worry if you think your little one might wail…it’s all part of the fun! Hooray! It’s almost time for the Easter holidays and we’re as excited as ever about the prospect of our chocolate eggs! We’re sure that you too are fulls of the joys of spring about the Easter celebrations and all that they entail- including a couple of weeks with the children at home! Well, we can’t predict what the weather will be like, but whatever the weather, our doors are always open at Crafty Monkey for fun filled crafts! We’ve got plenty of Easter themed stock in including pottery bunnies, chicks and egg cups that are currently sitting waiting to be painted or have brightly coloured foam clay squashed over them! Or why not come and rescue one of our lovely rabbits from the Build a Bear range and fill it with love (or stuffing!). Spring is in the air (kind of !) and it’s this time of year when we look forward to seeing baby lambs and chicks are popping up left right and centre! At Crafty Monkey, we’re more than familiar with the wonder of new life as we have so many brand new little babies coming to see us. One of the most popular keepsake choices for new parents (and gifts for their family and friends) are imprints and outprints. If you’re not familiar with these, then come by and take a look at our examples as we’ll sure you’ll be impressed. They can be presented framed and ready to hang or unframed to pop on a stand on your mantelpiece for all to admire! Give us a call on 01480219222 to find out how you can bring your new little life’s hands and feet to life!